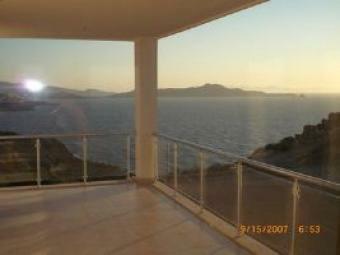 in Bodrum-Gundogan 250 m from the beach in a quiet bay. You can walk in 10 minutes to the centre of Gundogan. beacuse all the facilities are there: kitchen, bathroom, bedroom and terrace. apartment: 1 bedroom, 1 bathroom, 1 living room, open fitted kitchen and terrace.